Dr. Angelo Capozzi of Rotaplast International provided many heartwarming experiences on missions to transform lives of children and adults with deformities. Pictured above with Dr. Capozzi and Rotary Club members is Donna-Lee Young Rubin, Executive Director of Rotaplast International (former DG-Boston! ), and president Barry Parker! Our co-founder Angelo Capozzi, MD and Executive Director PDG Donna-Lee Young Rubin were guests of the club for an International Service presentation featuring Rotaplast International. “Be a gift to The World” (this year’s Rotary theme) by giving smiles to children at a Rotaplast mission! 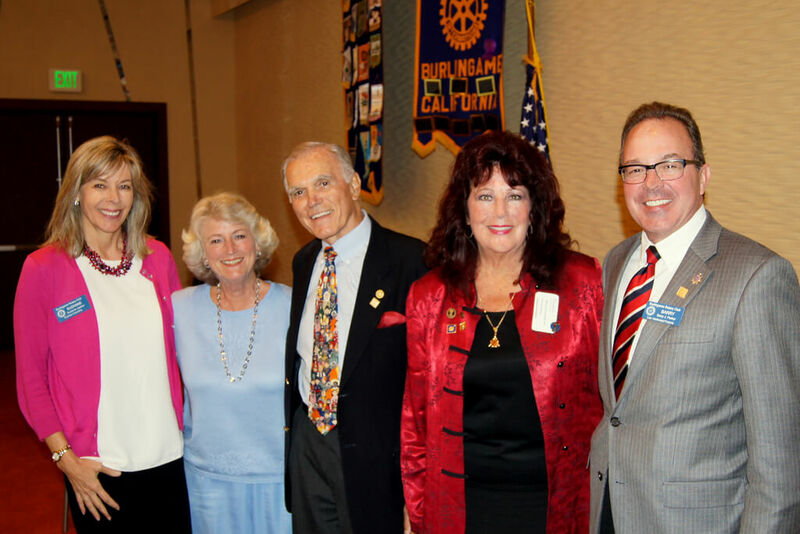 What fun we had with President Bary Parker in “High Gear” and the Rotarians at the Rotary Club of Burlingame.